Columns are one of those architectural details that can be used in a wide variety of materials and styles. While all columns are lovely, wood has benefits no other material can give. Today we want to focus on the benefits you receive when using wooden columns inside your home. How Much Do Porch Columns Cost? The vertical support that holds up your porch roof should not be taken lightly. Porch columns are an important feature of a home. They come in all different shapes and sizes and with that comes all different prices. Because of that, it should come as no surprise that prices are all over the place! What kind of fiberglass column for homes are available? The fiberglass column is a structural element that not only supports your roof, but also lends extra character to the overall aesthetic of your home. Fiberglass is lightweight and both water and rot resistant with a class A fire rating. There are multiple choices when it comes to fiberglass columns. Which one is the best choice for your home? 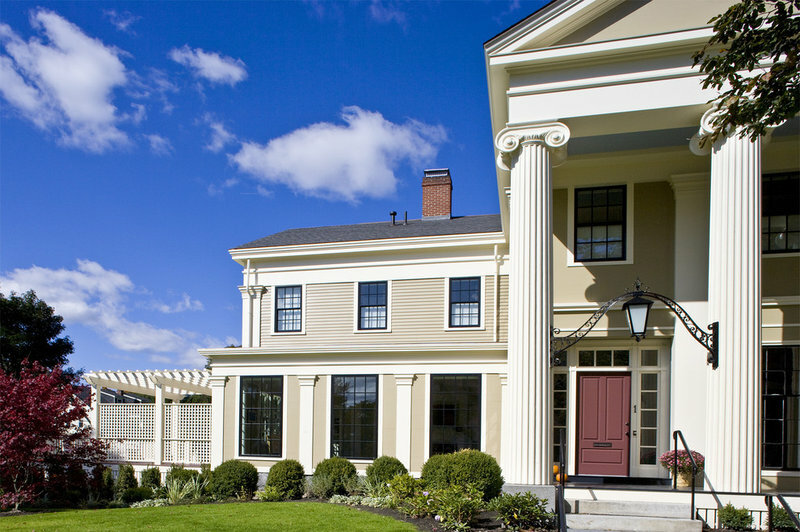 These fiberglass porch columns, additionally known as cast columns, is one of the most popular designs today. Reminiscent of the old Tuscan order of columns, but with a wider base and a slimmer top, this column draws viewers eyes upwards. These regal columns could be ideal for a home porch and are most widely used on most projects. Handed down from the ancient Greek and Roman empire, the 5 Orders of Architectural Columns are still used in modern architecture. The Greek supplied us with the Doric, Ionic and Corinthian designs while the Romans introduced us to the Tuscan and Composite look. Each of these elements are unique in their own way. They are used in specific structures at precise times to bring together a stunningly designed building. It takes time and dedication to find the perfect fiberglass columns to match the style of your new building or home. Once you’ve realized Worthington carries the best products in the industry, you need to be ensured that your product will arrive safely. Worthington’s delivery process guarantees that you receive the right product at the most affordable shipping cost. Here are some of the most common questions that customers have after placing their orders. Are Fiberglass Porch Columns Hollow? In fact, all porch columns, no matter if they are round, square tapered or non-tapered fluted or plain are all hollow. Also when you look at the different materials: polymer stone, fiberglass, PVC and even wood they are all hollow. This has to do with the way each of them are made. The fiberglass and polymer stone porch columns all come from a mold that has the shape of the part. The fiberglass mixture is poured into a closed mold, rotated very quickly, and then then the columns dry while they are spinning leaving the column hollow. FRP porch columns are made in halves by spraying with fiberglass strands similar to the manufacturing of a fiberglass boat. The halves are glued together in the factory or on-site creating a whole column once assembled, glued and after Bondo is applied. A wood porch column is made by gluing staves together in a circular form and then turning and cutting them on a lathe. Lastly, PVC porch columns are made from a cut out of a flat sheet of PVC and then assembled in our factory (or on-site) to make the finished square product. While I love the large two-story porches in Low Country homes and long wraparound porches on farmhouses, their smaller counterparts hold just as much appeal. You don't need hundreds of square feet to create a charming and welcoming porch. As long as you have a place to sit, a porch of any size is a wonderful covered outdoor space you'll enjoy from spring through fall. 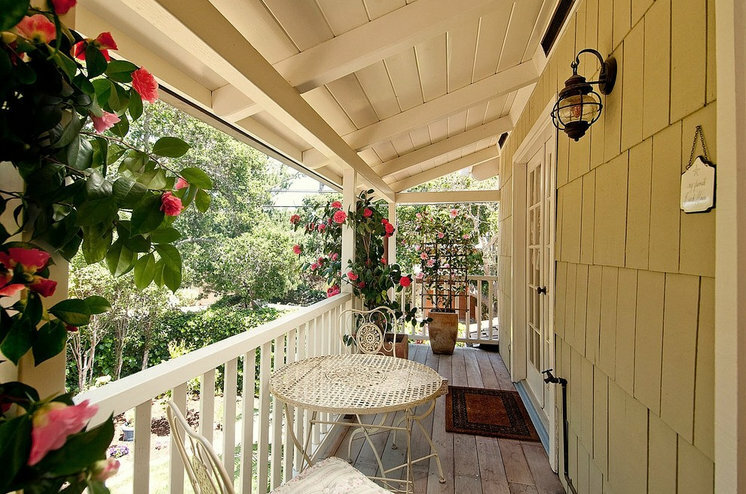 Here's a look at some modest porches that add miles of charm and great livable space. What is a Architectural Column Cut Plan? You would think that selecting the architectural columns you want for your home would be just as easy as it sounds. But that couldn't be further from the truth. When it comes to columns there are so many different choices and options - from material, height, diameter and capital decoration to whether you want the column split or whole. Buying architectural products like molding, columns, railing systems etc. can potentially put a big dent in a projects budget; but it does not have to! Small little changes can add up to big savings in the long run if you stay consistent with them. From high-end luxury homes to the most basic spec-built home, it seems that a traditionally designed house has to have at least one column based on designs from antiquity. Around 2,500 years ago, the Greeks invented what have become known as the classical orders. These orders ( Doric, Ionic and Corinthian) were adopted by the ancient Romans, who simplified the Doric to make their own order, the Tuscan. The Romans also combined the Ionic and Corinthian to form the Composite, or fifth classical order. Each order had a distinct meaning. A building designed using the Doric order would have been quite different in tone than a building designed in the Corinthian order. If you have ever tried to implement your own wood columns, then you know how some of the best designs are made out of these products. For the interior of your home, there is almost no better idea then to include these great architectural columns into your home. These wooden columns provide a strong product that can be used to decorate your home. As you know, a column is a great addition to any home because it gives an older, more historical feeling to your home. There are many styles to choose from, so if you are interested in getting a contemporary design or a simple classical design, then there are customizable wood columns available for you.